Just a reminder registration closes on Monday, November 25 for ACE Mid-Atlantic’s Coastin’ Through the Snow at Busch Gardens Williamsburg on Saturday, December 7th. During the holiday season, Busch Gardens Williamsburg becomes Christmas Town, using 5 million twinkling lights to transform each of the parks hamlets into an amazing spectacle of lights and pageantry you don’t want to miss. Included with your paid registration (as little as $40 for ACE Members with a Christmas Town Pass), ACE Members will kick off the day at the Fireside Feast with Santa. This all-you-care-to-eat buffet features holiday favorites like turkey with gravy, pork loin with red onion marmalade, sweet potato casserole, cornbread stuffing, macaroni & cheese, hot dogs, chicken nuggets, tossed salad, rolls, soft drinks and assorted desserts. After you finish your feast and the “children” in our ACE family visit with Santa, you can let your meal digest while taking a ride or rides (if you can “Brave the Black Forest” more than once) during Exclusive Ride Time (ERT) on Verbolten. The first roller coaster in the United States with a freefall drop track. After ERT on Verbolten, everyone competes for one of our door prizes as we play one of the many Busch Gardens Williamsburg midway games. To take away the winter chill, ACE ends the evening with HOT Cocoa & Cookies while we enjoy VIP Seating for one the parks Holiday Shows. All of this for only $40 if you’re a ACE Member with the Christmas Town Pass or FunCARD options or $60 if you prefer a single day admission ticket. If you do not have a season pass to Busch Gardens, but would like to visit Christmas Town multiple times, event attendees may purchase a Christmas Town FunCARD during online registration for $27. Parking is not included with a Busch Gardens Williamsburg Christmas Town Fun Card. 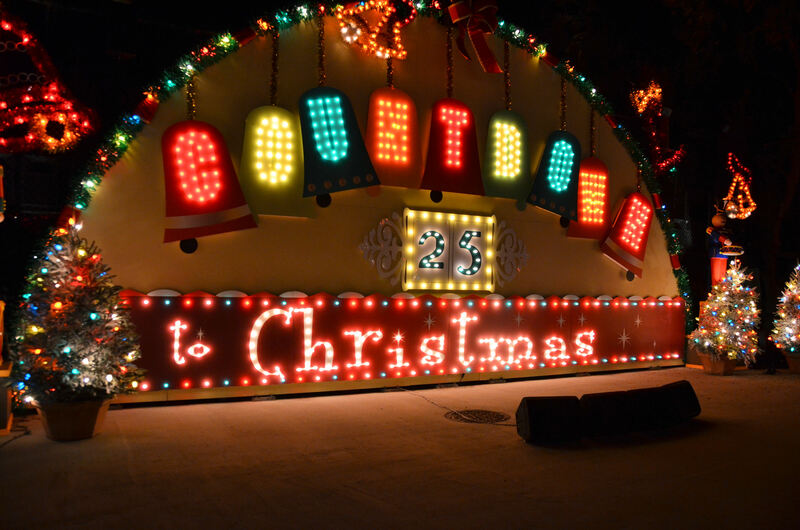 For more information on the many rides, shows and attractions available during Christmas Town, visit christmastown.com. As a reminder, you must be either a member of ACE or the guest of an ACE Member to attend ACE Events. For more information on becoming a member of American Coaster Enthusiasts, visit aceonline.org. We hope to see you on December 7.